Here's a superb new online slots game from Yggdrasil which you can play. 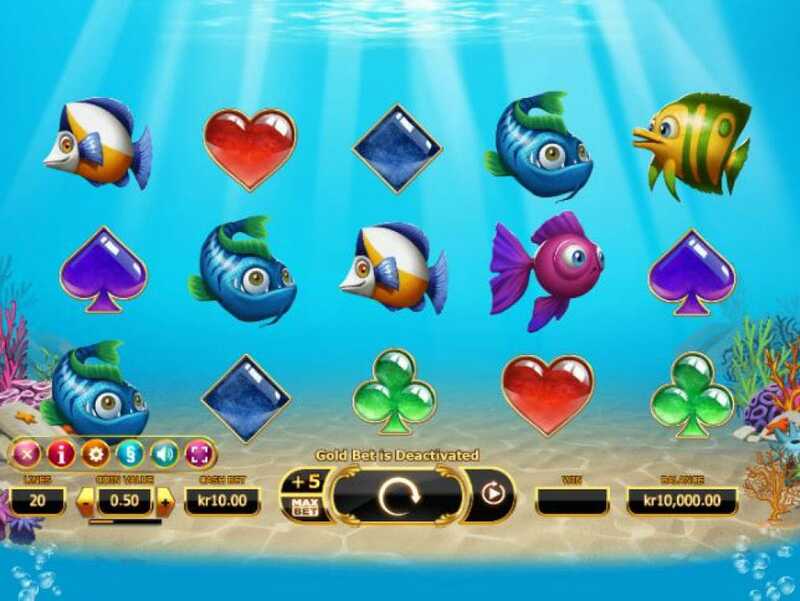 Aquatic themes have been done again and again in the online slot circles so when a gaming firm releases a slot with that theme you’d need to convince layers that it won’t be another one of those that they’ll end up forgetting soon. The sea has always been fascinating to humans and creatures alike and is probably what led to Sebastian the lobster’s famous ‘under the sea’ tune in The Little Mermaid. When the game has ‘by Yggdrasil gaming’ tagged to it, you can be sure that this won’t be your ordinary aquatic online games. This is a 5 reel 25 line slot. Coin values start at 0.01 to 5.00. The least stake you can make starts at £0.20 and the highest goes up to £100. ‘The Golden Bet’ feature offers punters 1 free spin per pick. You can activate this by clicking ‘+5’ above the icon for ‘Max Bet’. A winning symbol combination on an active winning line can multiply your stake by 250x. If you love promo's, see SlotsBaby. Although this company is a fresh player in the slot gaming world, they’re already getting amazing reception for the games released. That’s because they use advanced technology in the making of their games and they’ve also mastered the art of good customer support. Yggdrasil Gaming is releasing a new wave of online slot games that eliminate any possible competition they had. Their games are fresh, designed with state-of-the-art tech which forces casino software developers lagging behind to adapt if they expect to get ahead of Yggdrasil. This is an aquatic theme so one obvious thing to be expected is a watery setting. The graphics are gorgeous- symbols appear to be floating in water instead of being held on a traditional reel. This makes icons more distinct, the striking undersea background is more visible and the characters feel movie like. This is an original approach to the aquatic slot vibe. If that majestic ocean doesn’t take your breath away right from the beginning, then the exciting bonuses will. Wild symbol- The wild symbol can replace all the other icons except the Free Spins. The wild appears frequently, which means more chances for you to win from your symbol combinations. Free spins- The free spin icon is a golden fish. When 3 or more free spin icons show up, a bonus game is activated. If 3 free spin icons appear, you receive 6 spins, 4 icons mean 8 spins and 5 -icons award 10 spins. Golden Bet Mode- When you trigger ‘Golden Bet’ mode, the least wager you can place is £$0.25 per spin. It’s higher than the 0.02 credit you’re used to, but remember that this game has a high payout percentage of 96.5%. It’s risky to up your stake, but the excitement and rush are well worth it. You can activate the Golden Bet mode by clicking +5 next to the spin button. When you activate the free spin round, a new feature (1 extra) enters the gameplay. A two to four extra free spins prize when you choose another coin to play. One of the fish on every bonus spin turns into a stacked wild. One or two random wilds added to the reels on each free spin. All free spin round wins come with a prize multiplier of 2x. When one of the fish symbols appears it turns into a wild. It can lock itself on the reels for the duration of the Golden bet mode feature. It really isn’t a surprise how good this game is. Yggdrasil is always crossing the edge of what’s been done and coming up with new features that gamblers can enjoy. Their goal is to create memorable games that keep you coming back because of their fun features and big payouts. 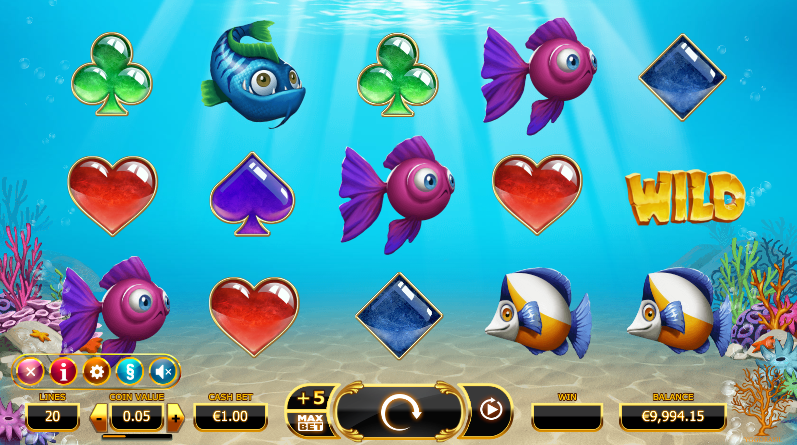 You can be sure that Golden Fishtank isn’t your average aquatic slot game.